Description: Great for anyone who loves the Lion King! 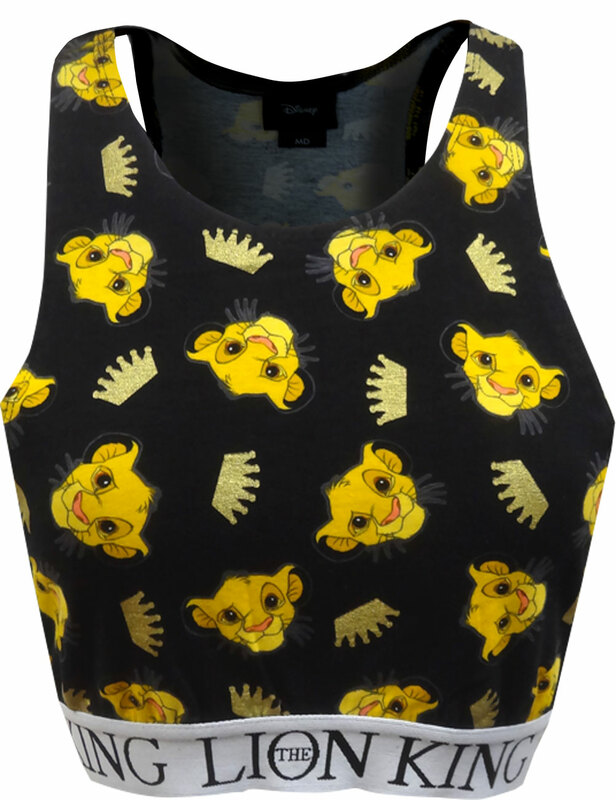 These high neck tank style camisole bras feature Lion King's favorite character, Simba. The stitched elastic along the bottom adds a nice contrast. Wear it alone or under something else. Junior cut.